...how the building pictured below might have been received by West Community Council and NICE if the planning application were to arrive on the Glenurquahart Rd mat today. 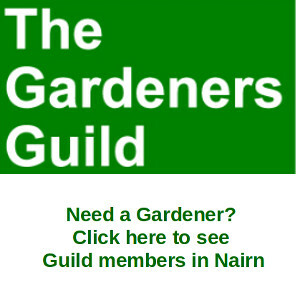 We live in a time where planning issues are to the fore and a tall building proposed for the bus station has had a knock back from the two groups mentioned above. 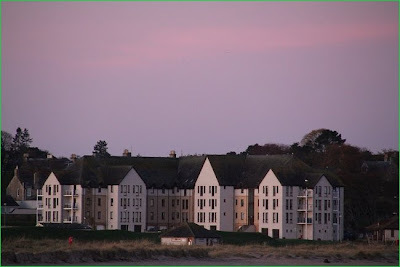 In an age where there is no shortage of self-appointed arbiters of architectural good taste in Nairn (witness Nairnbairn's carbuncle nomination) perhaps it is worth reflecting on another tall building in the town: 12 years on and the Marine Road apartments are very much part of the landscape. 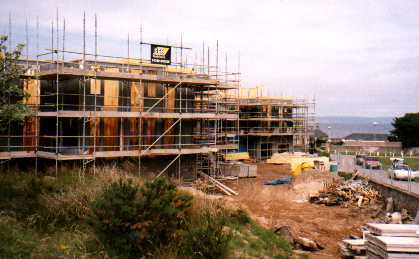 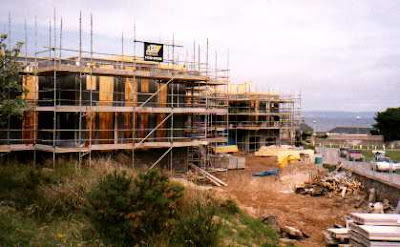 The Marine Road appartments under construction in the summer of 1999.